While no official announcement have yet been made, Nevada poker fans will soon be able to play online poker for real money at WSOP.com this summer. Although reports do not confirm the launch there are hints from a Two Plus Two forum member called “parisron,” that the new site is set to be operational in July. However, no fixed date has been mentioned. This news comes after a false alarm that Caesars Entertainment was to launch its online poker room opening up for real money with the start of the WSOP 2013. Adding to the speculation were photos in the same thread at Two Plus Two from the Rio All-Suite Hotel and Casino promoting WSOP.com and urging players to sign up at the Lambada Room for real money online poker expected in summer. There are several other indicators which include the promotion of a $100,000 freeroll on WSOP.com as the first event of the WSOP.com Online Championships. 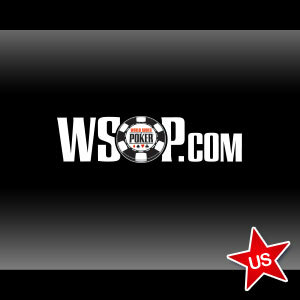 While WSOP.com is in operation, players in the US are only allowed the play money format. Caesars Interactive did announce the release of its U.S. online poker client at the start of the WSOP. However, only play-money games are currently available on the site. After Ultimate Poker, WSOP.com is next in line to begin accepting real money poker in Nevada. To be eligible to play real money poker games when they are introduced, rules mandate that players will have to be present within the state of Nevada. WSOP visitors at the Rio can engage in real money play when online tables become available. Seth Palansky, head of communication of Caesars was non-committal when asked to specify a date when real money games would be launched online. However, he did indicate that it would become a reality this summer. The launch of real money online poker games will make it easier for players to get into virtual mode even while at the tables within the Rio. According to Jack Effle, WSOP tournament director, as long as players are not in action, they will be permitted to use their electronic devices provided they are not found cheating. The major objective is to ensure that the game continues at its natural pace without any distractions. Release of the software has not yet officially been announced in any press release.